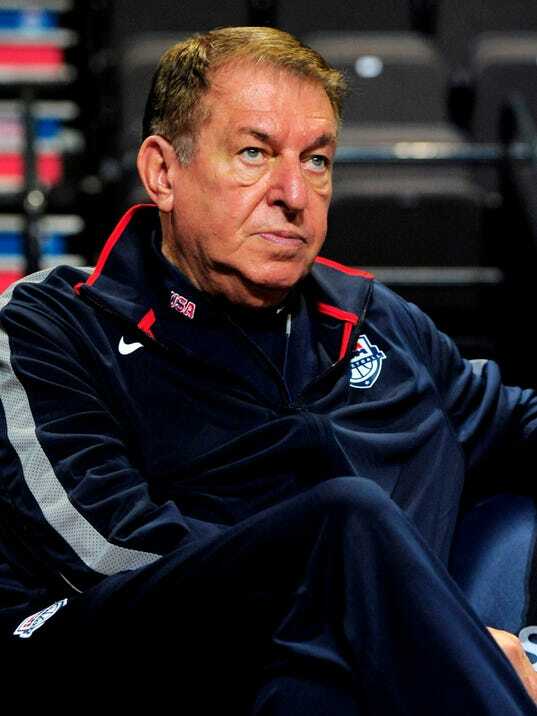 No one should be feeling sorry for Jerry Colangelo. As managing director of USA Basketball, he has a talent pool to draw from for the forthcoming Summer Olympics in Rio de Janeiro that is unrivaled in all the hoops world. Yet still, this Kobe Bryant quandary is a doozy of a decision that no team executive would envy. The Los Angeles Lakers star who recently announced that this season would be his last has made it clear of late that he wants to finish his storied run in Brazil. His stance has changed in that regard, with Bryant — who said after the 2012 Olympics in Spain that “That is it for me” — now saying “It would mean the world” to him to be there in Brazil. In Bryant’s perfect-world scenario, he would be among the 12 American Olympians who would have a gold medal draped around his neck during his cherry-on-top finish. The final tally, if this scene played out, would have Bryant earning three Olympic gold medals in all (he was part of the 2008 and 2012 teams).